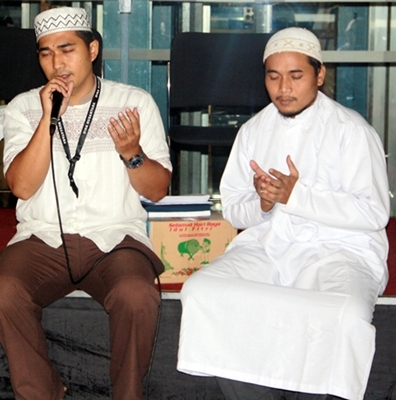 To welcome the holy month of Ramadan 1434H and to improve cooperation, communication and social awareness, BINUS BUSINESS SCHOOL & BINUS INTERNATIONAL organized a fast-breaking event on July 31, 2013, BINUS Senayan Campus, The Joseph Wibowo Center. 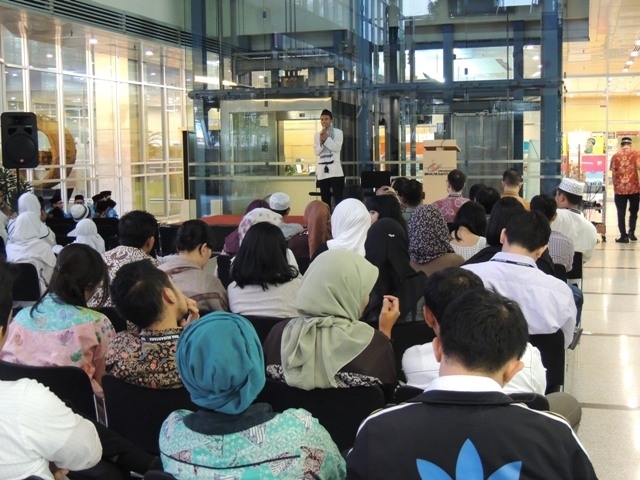 The annual event of BINUS BUSINESS SCHOOL & BINUS INTERNATIONAL were attended by BINUS family and also the community around the campus, orphans, media partners, security officers and janitors at BINUS BUSINESS SCHOOL & BINUS INTERNATIONAL. 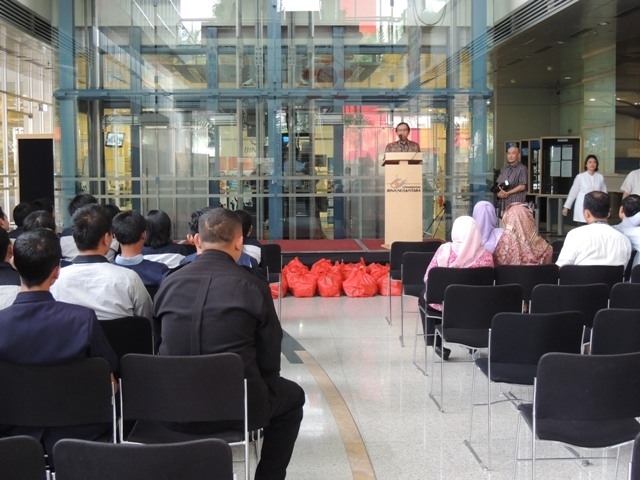 Also present was the representatives of BINUS Management, Police Chief, Binmas and Babinsa (non-commissioned officers assigned to villages) from Tanah Abang and Kebayoran Baru area. 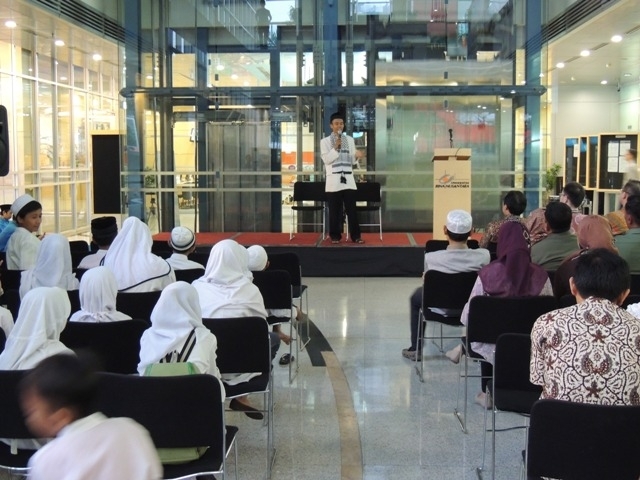 ”This year, the theme is ’The Beauty of Islam’ and we invite children from Al Abror Orphanage to participate in this event. 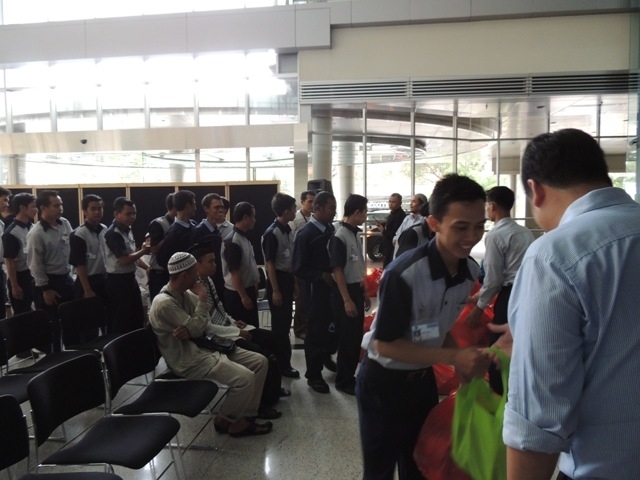 Of course, with this event, i hope we can share our fortunes with the children from Al Abror Orphanage. 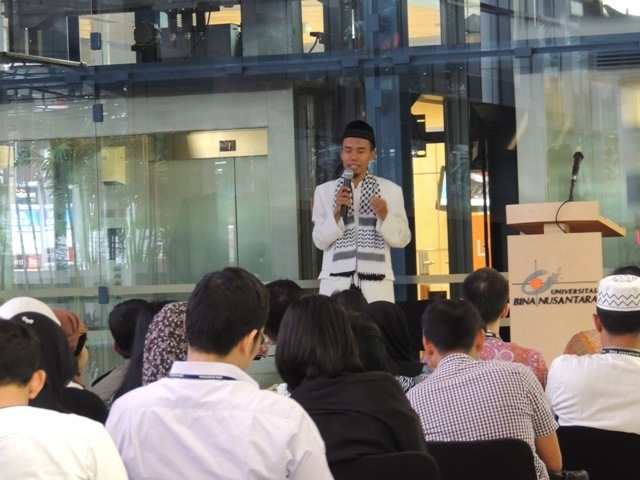 Moreover, I also think highly of BINUS BUSINESS SCHOOL & BINUS INTERNATIONAL for paying attention to the orphans,” explained Burhanudin, Head Committee of the event. 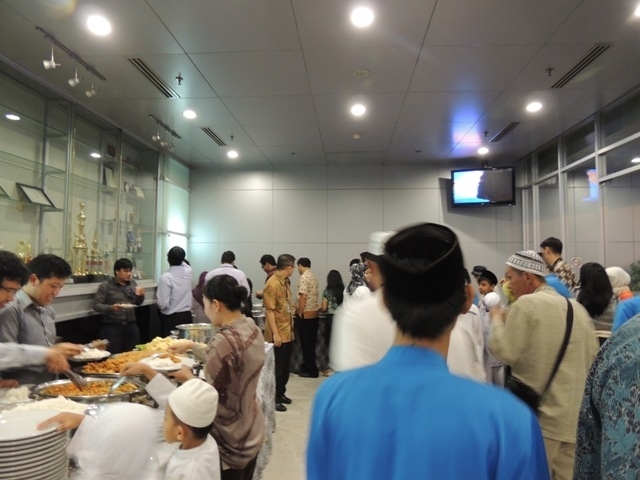 In addition to breakfasting, the committee also provided social aid for the orphans, janitors and security officers of BINUS BUSINESS SCHOOL & BINUS INTERNATIONAL which has been a huge help for all this time. 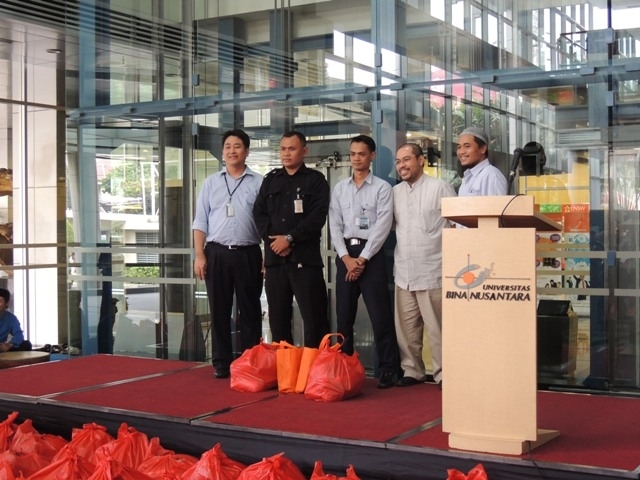 BINUS BUSINESS SCHOOL & BINUS INTERNATIONAL donated food, and the donation was symbolically handed over by Firdaus A. Alamsjah, Ph.D (Executive Dean BINUS BUSINESS SCHOOL & BINUS INTERNATIONAL).